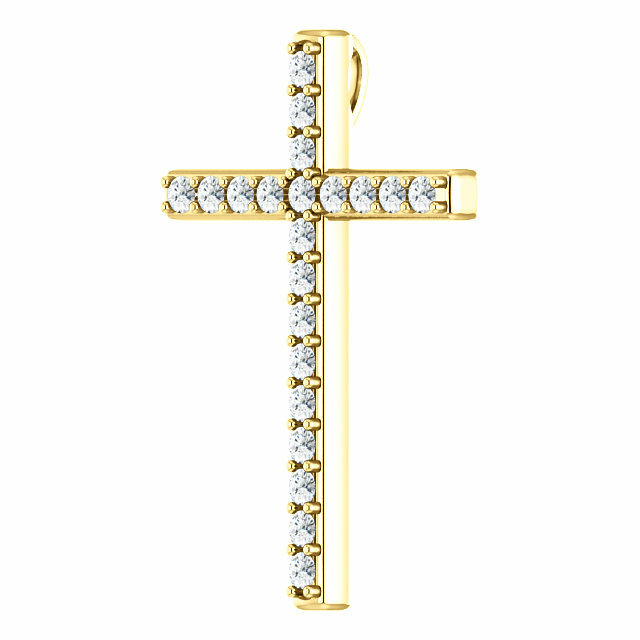 This high-end gold cross pendant is overlaid with white sapphire gemstones in your choice of 10k, 14k, or 18k yellow gold. Sapphires appear numerous times in the Bible, including the beautiful descriptions of King Solomon in the Song of Solomon, describing the beloved king: "His cheeks are as a bed of spices, as sweet flowers: his lips like lilies, dropping sweet smelling myrrh. His hands gold rings set with the beryl: his belly is as bright ivory overlaid with sapphires" (Song of Solomon 5:13-14). 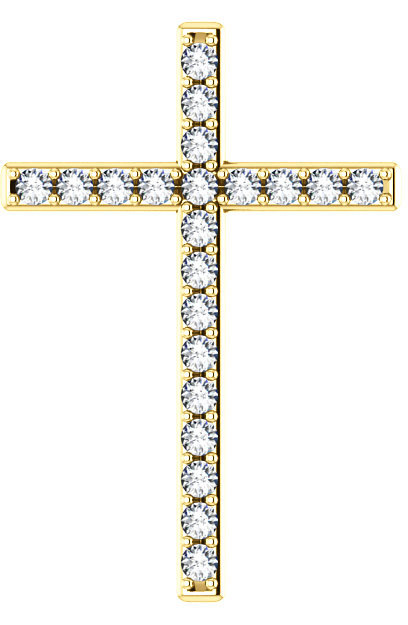 The gemstone cross is set with 21 genuine "A" rated quality 2mm white sapphire gemstones. There is a hidden hoop/bale behind the pendant, so that the hoop does not distract from the beauty of the gems when worn. The cross measures 1 1/4" tall x 0.85" wide. You may also optionally add a white gold cable chain to the white sapphire cross or wear it with any necklace of your choosing. 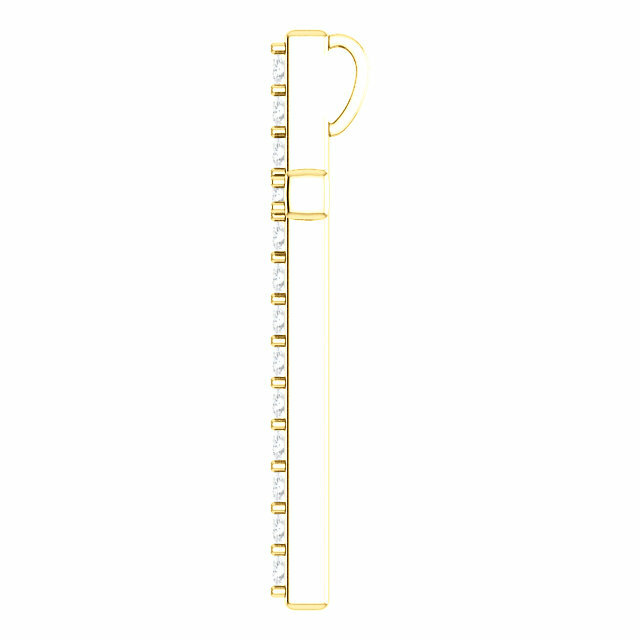 We guarantee our Overlaid With White Sapphire Gold Cross Pendant to be high quality, authentic jewelry, as described above.